April 11 is the 101st day of the year(102nd in leap years) in the Gregorian calendar.There are 264 days remaining until the end of the year. 1034 – Emperor Romanos III Argyros is drowned in his bath on Empress Zoë's orders. 1919 – The Provisional Government of the Republic of Korea is established. 1954 – The Belgian general election occurred, replacing the Christian Social Party's majority government with a Socialist-Liberal coalition. 1963 – Pope John XXIII issues Pacem in terris , the first encyclical addressed to all Christians instead of only Catholics. Year 491 (CDXCI) was a common year starting on Tuesday of the Julian calendar. At the time, it was known as the Year of the Consulship of Olybrius without colleague. The denomination 491 for this year has been used since the early medieval period, when the Anno Domini calendar era became the prevalent method in Europe for naming years. Anastasius I was Byzantine Emperor from 491 to 518. He made his career as a government administrator. 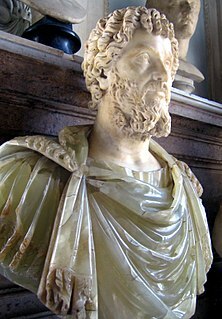 He came to the throne in his sixties after being chosen by the wife of his predecessor, Zeno. His religious tendencies caused tensions throughout his reign. Year 145 (CXLV) was a common year starting on Thursday of the Julian calendar. At the time, it was known as the Year of the Consulship of Hadrianus and Caesar. The denomination 145 for this year has been used since the early medieval period, when the Anno Domini calendar era became the prevalent method in Europe for naming years. Year 1184 (MCLXXXIV) was a leap year starting on Sunday of the Julian calendar. Emperor Yang of Sui, personal name Yang Guang (楊廣), alternative name Ying (英), nickname Amo (阿摩), also known as Emperor Ming (明帝) during the brief reign of his grandson Yang Tong), was the second son of Emperor Wen of Sui, and the second emperor of China's Sui dynasty. Saint Godeberta was a Frankish saint. She was born at Boves, near Amiens, to a noble family that was associated with the court of Clovis II. With the support of Saint Eligius, Godeberta became a nun despite the fact that her parents wanted her to marry. Clovis gave her a small palace at Noyon, which included a chapel dedicated to Saint George. She was joined there by many other young women. Saint Guthlac of Crowland was a Christian saint from Lincolnshire in England. He is particularly venerated in the Fens of eastern England. George Augustus Selwyn was the first Anglican Bishop of New Zealand. He was Bishop of New Zealand from 1841 to 1858. His diocese was then subdivided and Selwyn was Primate of New Zealand from 1858 to 1868. Returning to Britain, Selwyn served as Bishop of Lichfield from 1868 to 1878. ↑ "And that's the way it was: April 11, 1976". Columbia Journalism Review. April 11, 2013. Retrieved April 1, 2019. ↑ Auricchio, Laura (2003). "Adélaïde Labille". Société Internationale pour l'Etude des Femmes de l'Ancien Régime. Retrieved 2019-04-11. ↑ "Miss Haiti, Sarodj Bertin is now Reina Hispano Americana 2012 | WENSHOW". 2014-10-26. Retrieved 2018-05-03. Wikimedia Commons has media related to April 11 .